measure, benchmark and enable your organisation surpass global customer experience management (CEM) & service excellence levels, by adopting best in class CSAT measurement, operational practices (& technologies tools), for succeeding & growing in today's fast evolving world - where smooth, friction less customer experience is critical. Besides customer journey mapping, we do comprehensive end to end, third party customer satisfaction, experience & loyalty measurement, collate & analyse valuable customer feedback, review your operating framework , so you get an independent "outside in" customer centric "design thinking" view of your operating framework, diagnose opportunity areas & recommend specific improvements( in your operating structure, processes, measures, KPIs & technology solutions) to help you win. Our solutions, and measurement led diagnostics & improvements are usually cross functional & sector agnostic, covering all customer contact channels, including digital. performance improvement, metrics, processes & measures. analyse & interpret customer feedback data to generate actionable insights & diagnostics, to help you win, grow & improve products & processes across all channels(including digital) & all stages of customer experience journey. Hexagon Consulting's customer service excellence & customer experience management practice leverages a globally accredited bench-marking/certification framework TISSE 2012 from the International Customer Services Institute, UK, DUBAI & SINGAPORE (TICSI). TISSE helps organisations develop and enhance its capability to delight customers consistently - a lead indicator for any organisation's success today! 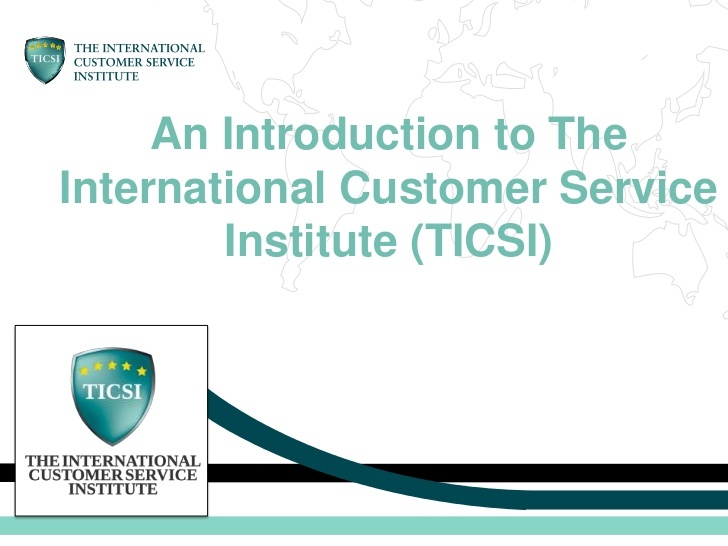 The International Standard for Service Excellence (TISSE2012) is the rebranded and updated version of TICSS2010. It remains the most comprehensive global standard specific for service excellence. TISSE 2012 promotes a flexible yet measurable customer focused approach based on this 5Ps Service Quality Model to implementing all the elements that make up the delivery of excellent customer service. The Online Site Assessment against the full TISSE2012 Standard enables organisations to easily review their overall customer service performance levels and identify areas for improvement. This is a unique and internationally accredited suite of customer service focused e-learning programmes. The user-centric courses are free and delivered through a range of multimedia channels. Hexagon Consulting has introduced the customer satisfaction measurement & diagnostics in collaboration and partnership with the globally respected American Customer Satisfaction Index (ACSI), using the ACSI customer satisfaction measurement and diagnostics methodology. This unique measurement framework enables organisations and companies in India to benchmark all aspects of customer experience with industry peers and eventually with best in class companies in other industries(the measures, benchmarks and diagnostics, will help them improve on end customer satisfaction). Consumers also benefit by getting an objective & independent end customer satisfaction based measure to benchmark organisations & companies. Indian customer satisfaction measurement index(ICSI) objectively benchmarks organisations, using a science-based, proprietary methodology of American Customer Satisfaction Index ( ACSI), across broad swath(manufacturing and services) of Indian economy, covering both private and public sector organisations. ICSI has started with the Indian banking sector and over time we plan to cover more industries/sectors. Navigating today's challenging times,require innovative, but simple & pragmatic solutions, tempered with actual experience & domain expertise. Leverage our cutting edge of management expertise, built on the extensive industry experience of our senior consultants, together with our global network of associate consultants, for meeting your broad spectrum consultancy needs & professional services support, including (i) due diligence, third party independent organisational audits to identify opportunity areas on the "as is" across organisation structure, procedures, standard operating processes(SOP)s, measures, Key Performance Indicators(KPIs), metrics, performance management practices,(ii) process enhancement & documentation, (iii) setting up offshore development?BPO centres(ODC) in Indiaetc. For executing our work, we also leverage resources from our centers of excellence across all our practice areas and our other group companies, to support our clients including doing specific research & studies, analytics, financial modelling, review of systems, processes to do the diagnostics & provide practical & grounded recommendations for meeting the organisational goals. We are a 100% cloud company(i.e. use cutting edge cloud based tools for all our work), and also support our client's operational improvement, by use of modern agile easy of implement social-mobile-cloud based technology tools. We operate across industry sectors, enjoy working on risk mitigation & strengthening compliance processes as well. We are particularly strong in the services sectors, especially banking, financial services(i.e. BFSI) and in offshoring ITES services from India. Operations enhancement, Risk & Compliance Management, business due diligence, objective third part independent assessments & diagnostics for business improvement including CX & productivity improvements are some of our core areas of expertise. BFSI and offshoring (especially in some important emerging areas like KYC, AML & Core Banking & Lending Operations) & Social Infrastructure such as the education sector are particularly well covered by the experience profile of our consultants. Driven and passionate with deep domain expertise & successful track records of actually building & operating businesses in volatile environments both in India and multiple countries overseas (in developed and emerging economies), our senior consultants bring innovative state of the art, practical & cutting edge thinking into the work that we do. We are committed to the goal of helping organisations succeed and realize their potential. Enabling growth in the US, for mid-sized IT-BPO companies based in India, developing their sales, marketing & delivery infrastructure, to facilitate growth in the US, UK & similar developed markets. bench marking operational effectiveness, setting up centers of excellence(COEs) in the ITES sector, improving quality & governance management, developing & implementing a culture for innovation, risk mitigation and compliance. This is executed with our partners Beyond the Hedge, Seattle. End to end comprehensive support for setting up a captive shared services and/or IT development center in India(including city, site selection, regulatory approvals, feasibility detailing for setting up captive, global delivery center in India and/or selecting the right service provider, financial modelling, build v/s buy optimisation, project management. Independent & objective third party advisory from our seasoned expert practitioners. Leverage our expert support for short listing, selecting, contracting with the right service provider & for monitoring the delivery and/or quality of work from India. Bench marking the "as is" and providing support for improving the operations of an IT-BPO service provider(i.e for improved effectiveness, productivity, quality, business impact, operations risk mitigation), and also for improving the buyer-provider engagement structure. Leverage our expertise to develop & set up centers of excellence(COE) & innovation labs in your organisation and in your business operations. This can contribute to become a division(or the COE) to become a best in class outsourcing ITES service provider units, so other units/divisions in the organisation can be inspired to emulate their success, thereby raising the overall level of excellence and inspiring confidence with clients. A center of excellence, typically focuses on all key aspects of business excellence including operations excellence, innovation, technology, risk & compliance, stakeholder's interests, etc. Driven and passionate with deep domain expertise & strong track record & success of actually building & operating highly successful ITES businesses in India, Philippines, Mexico, US, Europe and APAC, our senior consultants bring innovative state of the art, and pragmatic consulting solutions & allied professional services to support both the buyers and providers of IT & BPO services realise their objectives and potential.